The shows have no intermission and are approximately each one hour in length. will be distributed in class commencing Monday April 30th. will be in each class the week prior to performances (Saturday June 2nd through Friday June 8th). No theatre dress rehearsal. will be posted at all Studios in May. Each class performs in one show on one day but advanced students are in multiple shows. Please check spelling of your dancers name in the program posted at the studios in May. Tickets will go on sale Saturday, May 5th 9:00am-1:00pm (CASH OR CHECK ONLY) at the Main Studio, back parking lot. Tickets will also be on sale in the office starting May 7th (CASH, CHECK or CC). If you do not wish to wait in line, order forms will be available to pick-up in the office from April 23rd onwards. Forms should be returned to the office with payment (CASH or CHECK only). On Saturday May 5th at 2:00pm, the best seats available will be attributed based on the order the forms were received. Tickets will be sold at the door before performance times, if still available. Please note that in the past some of the shows have sold out. Sign-up for awards will be in the office, or you may email Karina. Please indicate which show you will be receiving your award by May 12th. Not having your name called on stage can be very disappointing. If you are to receive an award, please come backstage toward the end of your show. DVDs – The shows will be professionally taped by Visconti Productions. Copies will be available for purchase. Order forms will be available in the office and at the theatre. DVDs may be ordered through the Sunday shows (CASH or CHECK only). Individual students photos in costumes will be taken on May 19th and 20th and June 2nd and 3rd by “Nancy Mueller Photography”. Photos will take place in Bohannon studios at 3925 Bohannon drive, Menlo Park. Please sign up in the MPAD office or contact the office to reserve an appointment. Class photos taken during dress rehearsal week in regular class times, Saturday June 2nd through Friday June 8th levels three & below. Requests for a class photo for students levels four and above should be made via email to the MPAD office. Volunteers are needed to act as ushers, box office, etc. A sign-up Genius invitation will be sent via email. Please sign up online if you can assist or send an email to karina@menloparkacademyofdance.com. Studio tote bags and flowers will be for sale in the lobby at the recital. Flowers can be pre-ordered and paid in the office. All flowers may be picked up on the day of each show in the lobby. The proceeds benefit the Competition Team Scholarship Fund. 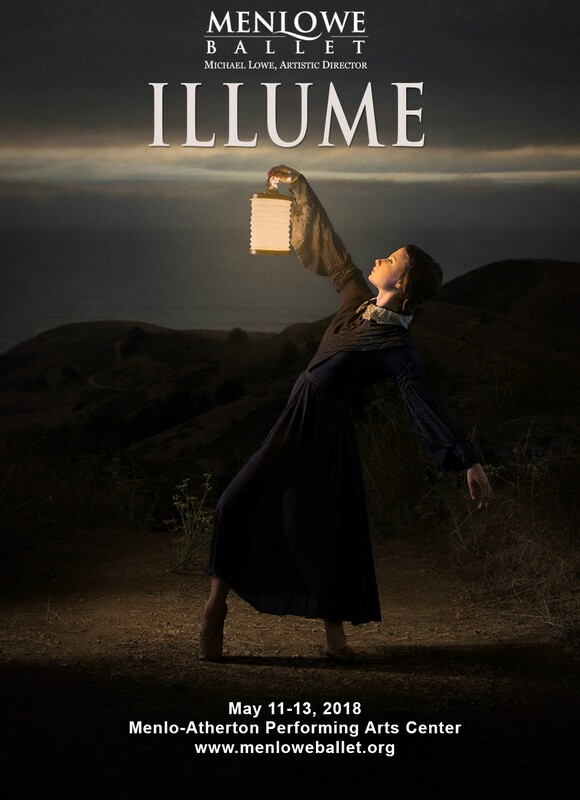 This riveting program features The Lady with the Lamp, choreographed by Artistic Director Michael Lowe and Associate Artistic Director Sarah-Jane Measor, Dennis Nahat’s Pas de Cinq from Swan Lake, and Donald McKayle’s Crossing the Rubicon: Passing the Point of No Return. The world premiere of The Lady with the Lamp continues Menlowe’s commitment to honoring the spirit and accomplishments of women from history who have touched the world with courage. 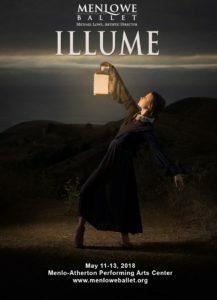 The ballet is a poignant tribute to the ground-breaking contributions of Florence Nightingale, a visionary who set the standard for modern medical care and revolutionized the nursing profession. In this dazzling display of classical technique, an excerpt from Dennis Nahat’s brilliant full-length Swan Lake, Pas de Cinq showcases four princesses vying for the heart of Prince Siegfried. Described as a work that touches the soul and pierces the heart, Crossing the Rubicon: Passing the Point of No Return, is inspired by the current plight of Syrian refugees. The ballet offers a visceral glimpse into the experience of displaced people grieving the loss of home and their journey towards an unknown destination. Special pricing for MPAD families: $5 off each ticket when using discount code MPAD at checkout: www.menloweballet.org or by calling 800-595-4TIX (4849). MPAD Summer Intensive for Intermediate and Advanced students will be June 11th through June 22nd, 2018. The Intensive offers elite instruction in classical ballet technique, pointe, variations, pas de deux, contemporary, jazz and African dance. Lectures and Q & A sessions covering a variety of dance-related topics will be offered. The program culminates in an on-stage performance that family and friends can attend on June 22nd. MPAD JUNIOR INTENSIVE will take place June 25th-30th, 2018. This intensive is for students who have completed Ballet III, IV & V. Classes are offered in a variety of dance genres with an emphasis on classical ballet, and run from 9am-4pm. The program culminates in a studio performance that family and friends can attend on June 30th. Registration forms for both Summer Intensives are available online (Summer Intensive and Junior Intensive) and from the MPAD office. MPAD SUMMER CLASSES July 9th to August 11th, 2018. Sign-up online. Please join us for another exciting summer for all your favorite classes. Additional workshop classes are offered in Mat Pilates, Acro, Classical Variations and Pas de Deux (registration in the MPAD office and see all the dates here).